I learned about quilting from one of my great friends/mentors about two years ago and since then have had an insatiable appetite for it. Prior to this I seriously never had a desire to sew anything but quilting unlocked a whole new realm of creativity and great fun! Recently my friend Terror decided she wanted to make a quilt. She picked an awesome pattern from Cluck Cluck Sew (which is just an awesome name in itself- chickens and quilting? I’m blown away). I don’t know how she even chose a pattern from there because frankly I think they are all awesome (and no I’m not getting anything for saying this, Terror and I just really love these patterns). 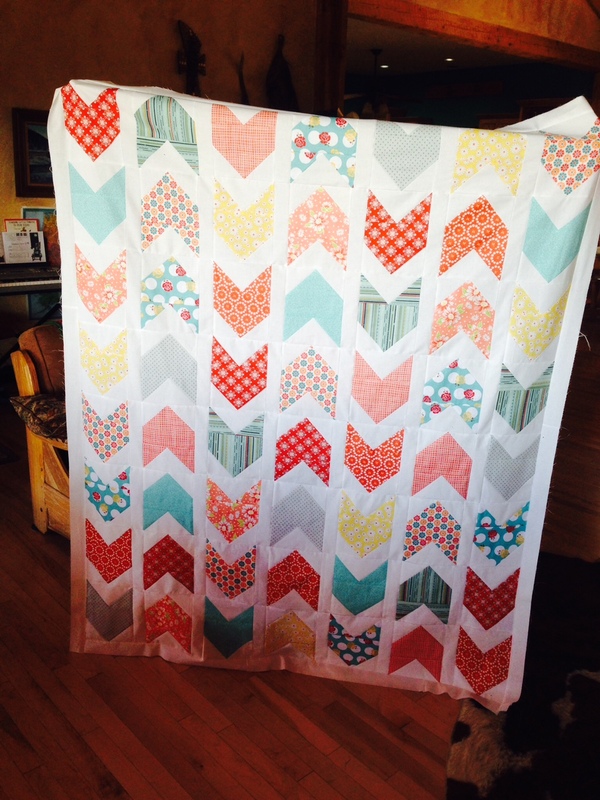 Ambitious for a first quilt? Probably. Here’s my philosophy on quilting though. I think you should make something you love. I don’t really believe it’s about the quilt being perfect. In fact it’s the imperfections that make home-made quilts awesome. If you want a perfect blanket go buy one at a store right? So, Tuesday morning we set up in my kitchen and Terror and my mom and I started chopping up her piles of beautiful fabric and pressing and sewing. Eventually my mom had to leave but Terror and I kept on going with periodic breaks to check on pregnant goats (which are still pregnant today by the way) and a late lunch break. At one point Terror had to go home and feed her own goats, chickens, and let her dog out and then came back to sew on. At 10pm we gave up for the night. The next morning we were back at it and shortly after Terror had herself a quilt top! I can’t wait to see it quilted up and bound. I will post an update with more photos because she picked beautiful prints for the backing and binding that are going to make this even more awesome. This quilt looks all ready for summer to me. I think she needs a porch swing or rocker or something now at her summer cottage to wrap up in this awesome quilt on a cool summer evening. I love quilting because it brings chicks together to visit and work and create something wonderful with a story. That will have many more stories to come. Can’t wait to see what Terror will create next! 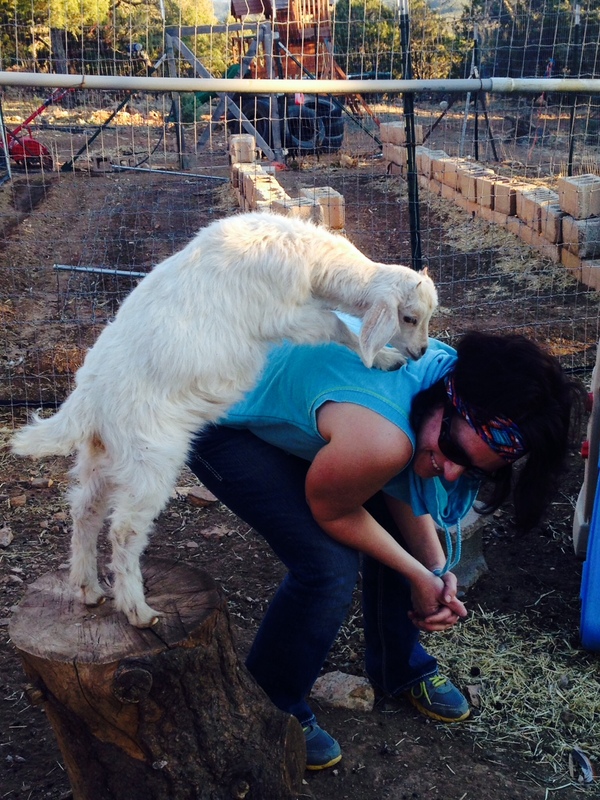 Goat break! Terror and one of the angora girls attempting an acrobatic stunt! ← Spring Cleaning- Sewing/Craft Room- For Real!